It goes down November 4 in NYC. 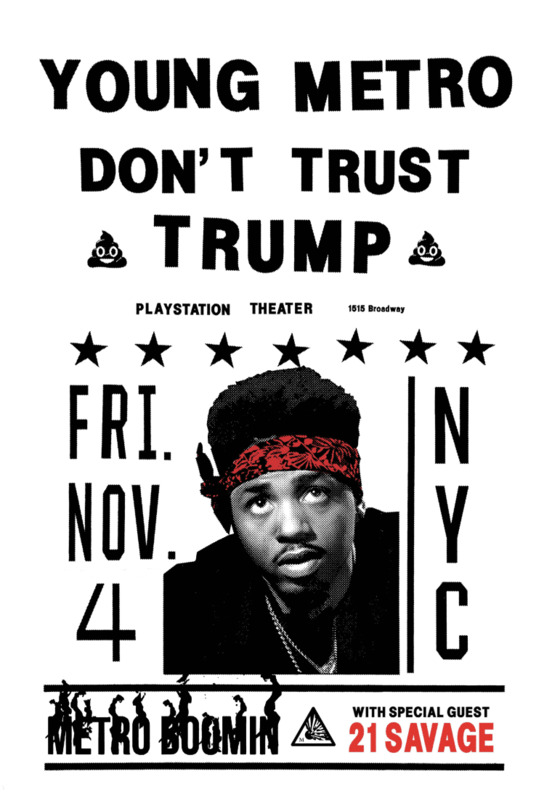 Metro Boomin is throwing a concert in NYC on November 4 that he has dubbed Young Metro Don't Trust Trump. 21 Savage will now be joining the anti-Trump festivities. All proceeds from the show will go towards Boomin's new scholarship fund that will send St. Louis area students to Morehouse College. For tickets head here.